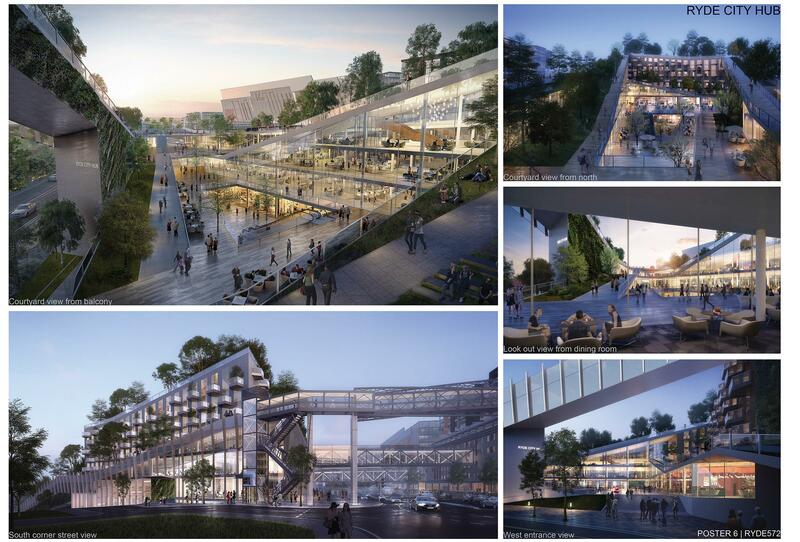 The winner of Design Our Ryde international architectural competition for the Ryde Civic Hub Precinct has been won by the Beijing Institute of Architectural Design, China, with a striking, multi-functional destination design concept. 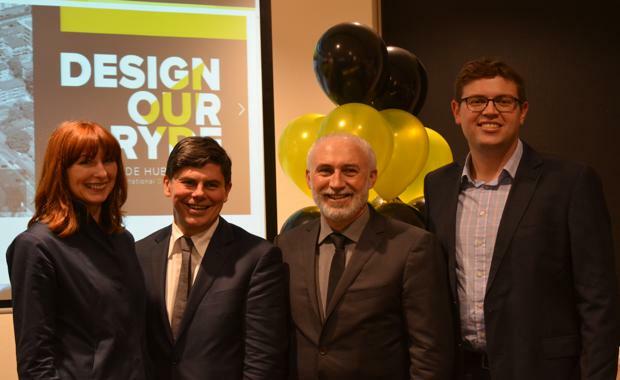 The winner was announced by the Jury chair Peter Poulet after an eight month search which saw 175 architectural firms from 47 countries, including 42 from Australia, submit their design for a civic structure that encapsulated the urban identify of Ryde’s iconic gateway site. Jury’s comments Winning Design Entry 572 Beijing Institute of Architectural Design (China):"The design is a realistic and well considered concept that demonstrates a comprehensive understanding of the urban context. It represents an opportunity for positive change and enhances and nourishes the notion of the garden suburb and has a character that is uniquely Ryde. "It provides excellent connectivity and high quality sustainability features such as positive building orientation, maximising natural ventilation, use of rainwater collection, green roofs and green walls and the proposition of low-e glass." 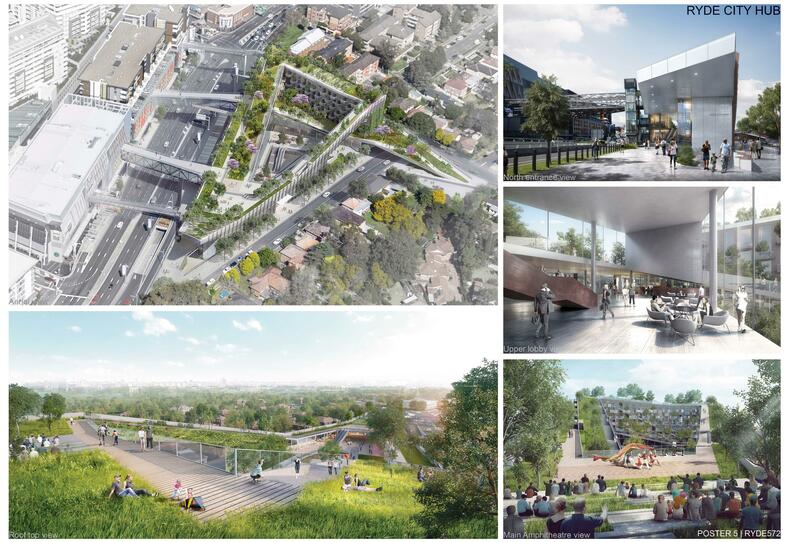 The Beijing Institute of Architectural Design entry, which has won the Design Our Ryde $150,000 first prize, was selected from four shortlisted contenders:Entry 16 Team2 & Arcadia Landscape Architecture (Australia – St Leonards NSW/Hawthorn East VIC) People’s Choice WinnerEntry 299 Architensions (USA – New York)Entry 392 MORQ (Australia/Italy – Perth WA and Rome)Entry 572 Beijing Institute of Architectural Design (China)Jury Members: Chair, Peter Poulet, NSW Government Architect; Shaun Carter, President NSW Chapter, Australian Institute of Architects; Maria Atkinson AM, Greater Sydney District Commissioner and Sustainability Strategist.